It’s nearly that time of the year; the long lull of no real football is concluding and the 2016–17 NFL season is set to begin. So, as we discuss teams, players, and awards, we must check out the MVP candidates who may have the honor of receiving the biggest award in the AFC. Our reigning MVP is Carolina Panthers quarterback Cam Newton, and he still tops our list of the top five MVP candidates in the NFC. Although there is strong talent in that conference, it’s safe to say that there is just as much, if not more talent in the AFC. Here, we break down the AFC’s five players with the best chances of winning the MVP award and potentially dethroning Newton as the league’s best player. We’ll start with a surprise choice, but one who deserves all the praise in the world. 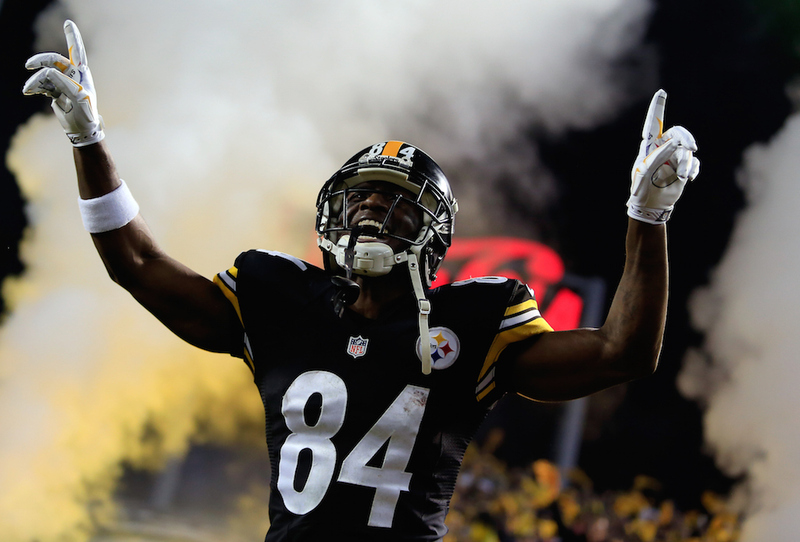 If not for Newton’s ridiculous 2015 season, there are plenty of reasons to argue that Antonio Brown could have been a serious MVP contender. No, wide receivers are rarely favorites to win the MVP award, but Brown is a different level of player. Last season, he caught a stellar 136 passes for 1,834 yards and 10 touchdowns. Brown is one of the most well-rounded players in the NFL. What’s even more incredible is the fact that he caught that many passes, for that many yards, with Ben Roethlisberger missing four games. This means Brown still excelled while catching passes from Mike Vick and Landry Jones. Just one season removed from a year when he threw for 40 touchdowns, Andrew Luck will look to bounce back from an injury-filled 2015 season. He played in just seven games, going 2-5 as a starter, while completing just 55.3% of his passes for 15 touchdowns and 12 interceptions. There’s no question that injuries slowed Luck down in 2015. We fully expect him to revert back to the player he was in 2014. If Luck can produce numbers even remotely close to those, then he should be one of the frontrunners for the MVP award — assuming that the Indianapolis Colts can return to the top of their division and once again become one of the more talented teams in the league. 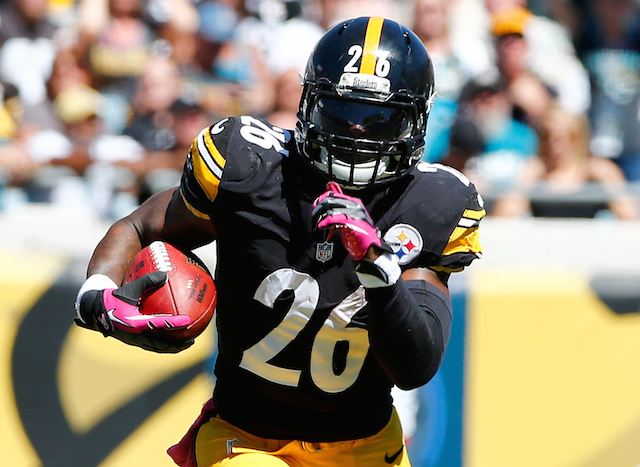 If Le’Veon Bell can recover from the surgery on his right knee, which seems very likely at this point, then he will be an absolute monster in 2016. While Brown is stretching the field and keeping opponents on their toes, the Pittsburgh Steelers running back will shred defenses both as a runner and as a receiver. Over his three-year career, Bell has caught 152 passes over 35 games, while rushing for 2,777 yards, totaling 1,389 receiving yards, and scoring 22 combined touchdowns. He’s by far one of the best dual-threat running backs in the league, and he’ll be the focal point of Pittsburgh’s offense. The one downside to our argument: Just like wide receivers, running backs don’t get much love in MVP voting. However, if anyone can change that at the RB position, it’s Bell. Yes, we’re widely aware that Tom Brady will miss four games to start the season. Even so, ignoring him as a true MVP candidate sounds like an awful idea. Brady will come out looking to prove something when those four games are up, and it wouldn’t be the slightest bit surprising to see him light it up at that point. 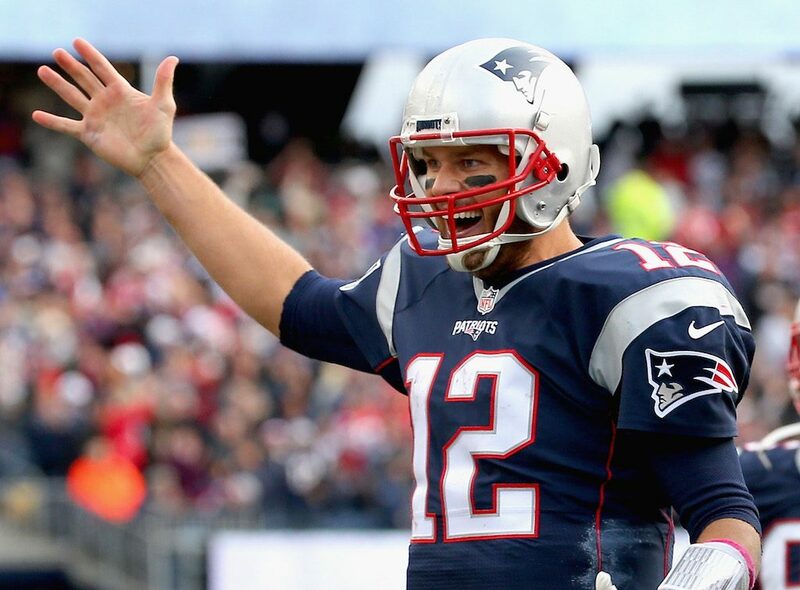 If Brady performs the way many believe he will, then we are more than willing to throw his name on to our list of the AFC’s MVP possibilities. Plus, if his numbers are remotely close to these other MVP candidates, and he was able to do that through just 12 games, then it makes it all the more impressive. Don’t sleep on Brady for the award. Andy Dalton is a real dark horse for the 2016–17 MVP award. He was on his way to having the best season of his career in 2015, as he threw for 3,250 yards, completed 66.1% of his passes, and tossed 25 touchdowns and just seven interceptions in 12 games. His team was 10-3 at that point, and he looked like the real deal. Unfortunately, his season was cut short due to a thumb injury, and now we’re all left to wonder “what if” when it comes to the Bengals’ 2015 season. Dalton will be back at full strength in 2016, focusing on finishing what he started last season. This coming year could be very special for him.